Whilst our App supports your service users to support whenever and wherever they need our data dashboard gives your staff real-time quantitative evidence of progress towards their outcomes. Discover and celebrate with your service users the independence they’ve gained over weeks, months and years. Enable your providers to discover and celebrate the successes of meeting their service users outcomes. 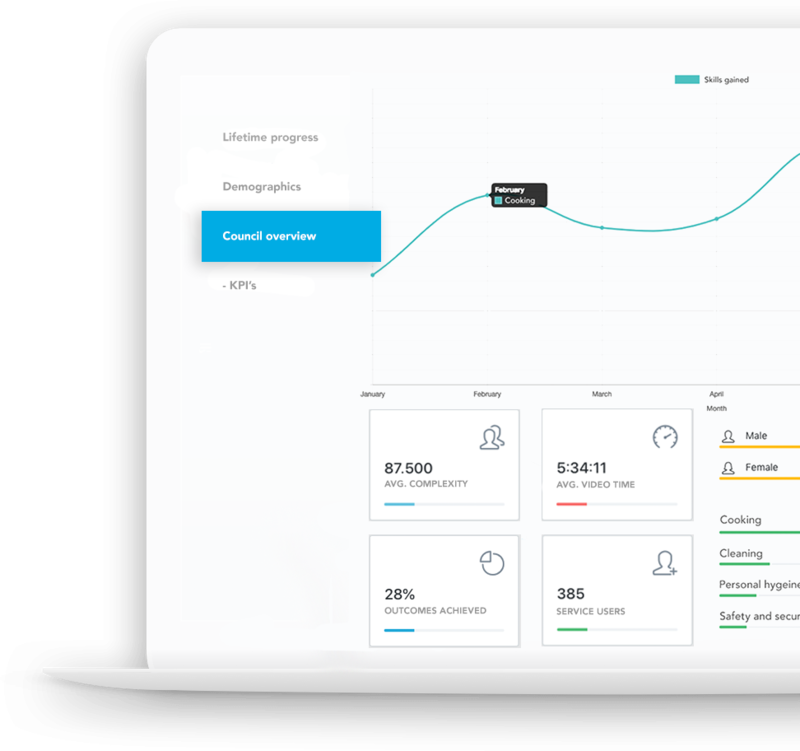 Discover and set KPI’s across your services such as transitions, supported living, Childrens and more. Data across individuals and services help your services ensure the right support is delivered at the right time. From our primary and secondary research we know roughly 50% of Adults with Learning Disabilities already own a smart device and they’re increasingly expecting Local Authority services to integrate with them. 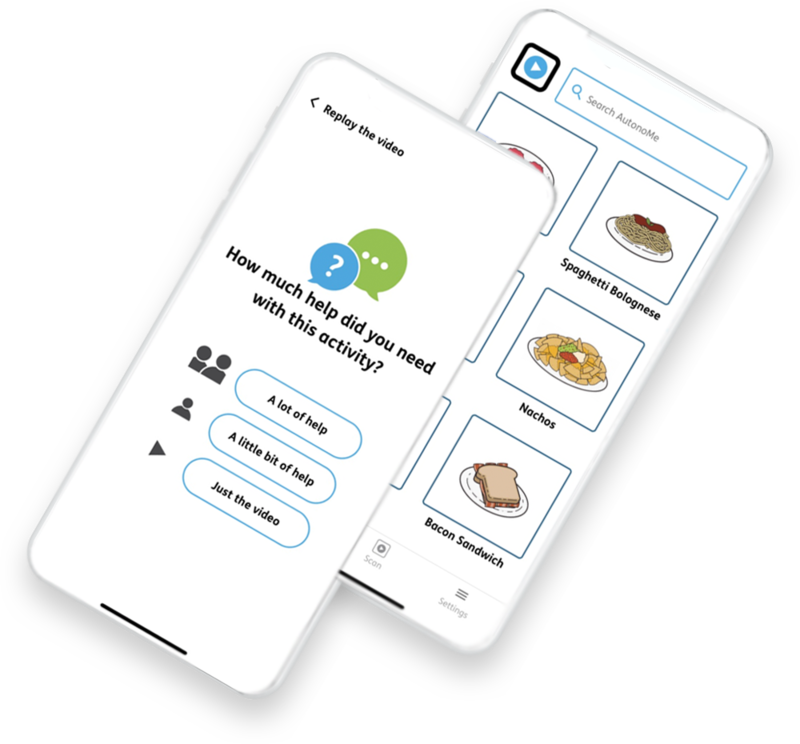 Until now it’s been incredibly challenging to capture the voice of people with Learning Disabilities, the AutonoMe App helps you address this challenge. 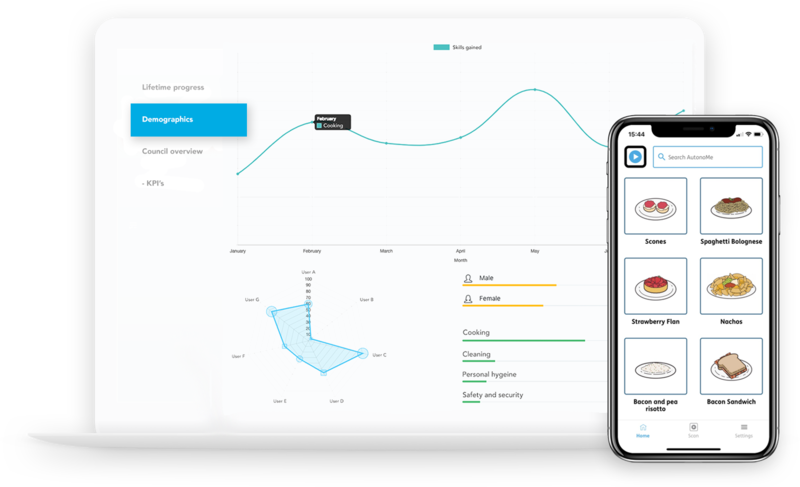 With AutonoMe service users can have an accessible, 21st-century solution that allows them to self-assess their own care needs for each individual activity in real time. This data enables you to react swiftly to their changing care needs. It’s definitely helped her, she’ll go straight for the cookbook and use that one for when she can, there is less staff support required. Ready for outcomes that measure progression?